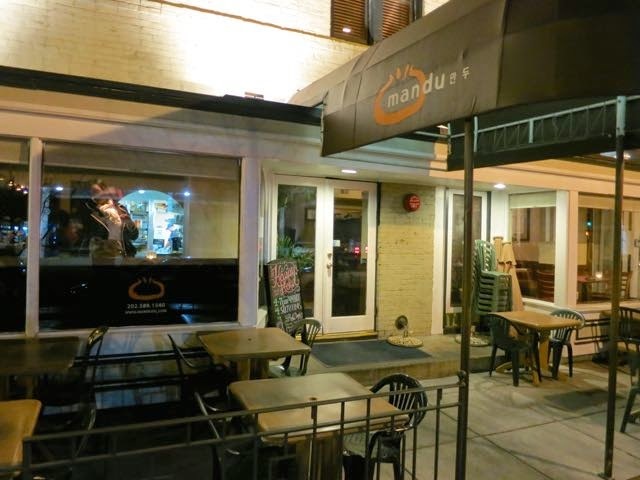 For the longest time, I heard that Mandu was a great Korean restaurant with a lot of vegan dishes. 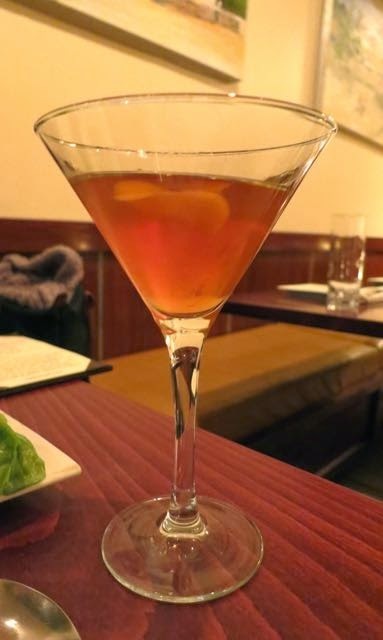 It is old school -- having been open in DC since 2006, but there's nothing wrong with trying an old-school restaurant. They have two locations -- on in Adams Morgan and one on K Street. We went to the one in Adams Morgan. 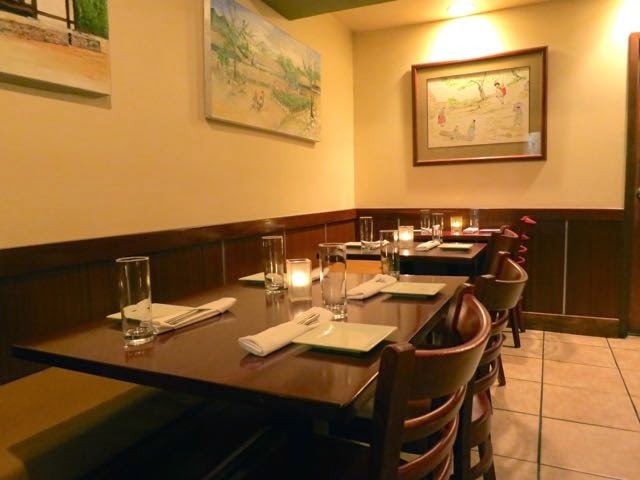 Mandu is a fairly large restaurant with seating on the first and second floors. The first floor, on which we were seated, was quite plain with plain tables and Asian artwork on the walls. The door did not have a lobby with a second door so every time it opened, we got cold. It wasn't long before we had wished we were seated on the second floor. That, coupled with a family that had two small children and a mother who thought it was so cute that her children were disturbing everyone made it a bit intolerable in the beginning. Nevertheless, we perused the menu. I started with a cocktail and my friend ordered a soda. The server returned and abruptly slammed the soda on the table making us jump and asked if we wanted to start with anything. I informed her that I was vegan and she proceeded to tell me that something that had egg in it would be good for me. I had to remind her of what vegan was. 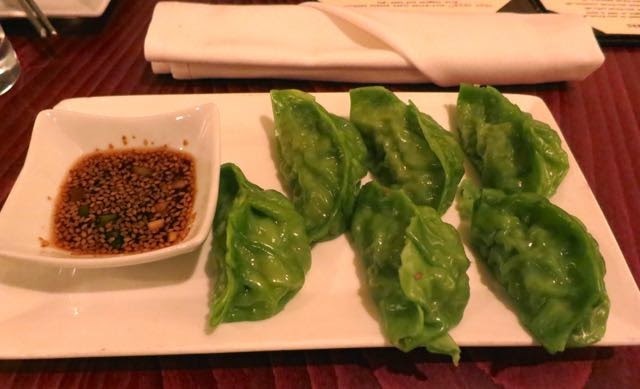 We started with the Mandu -- 6 steamed dumplings with tofu. They were about as plain as could be -- no flavor whatsoever. My Bittersweet Bulleit made with Bulleit rye, St. Germain, bitters and a lemon twist was very good though. After we finished our appetizer, we waited and we waited. Our server did not take our entree order until like five minutes after we finished our appetizer. Yeah, really. After we finally placed our orders, as is typical in Korean restaurants, we were served some side dishes to tide us down until the entree arrived. 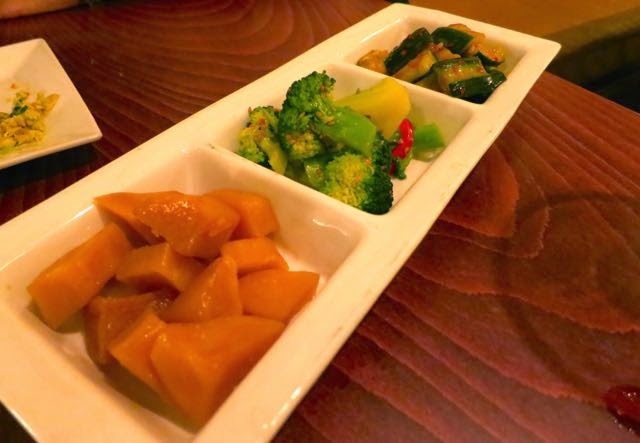 We were served a root vegetable, broccoli and cucumber. It was not very good. For my entree, I ordered the Veggie Soymun Bowl (hold the egg). I did not realize this was a soup as it was not under the soup section. After stating that I did not want a soup, I ordered this. It would have been nice for the server to have informed me I was ordering a soup, but that probably would have required an extra second of her time, which she didn't have. The soup was actually pretty good. 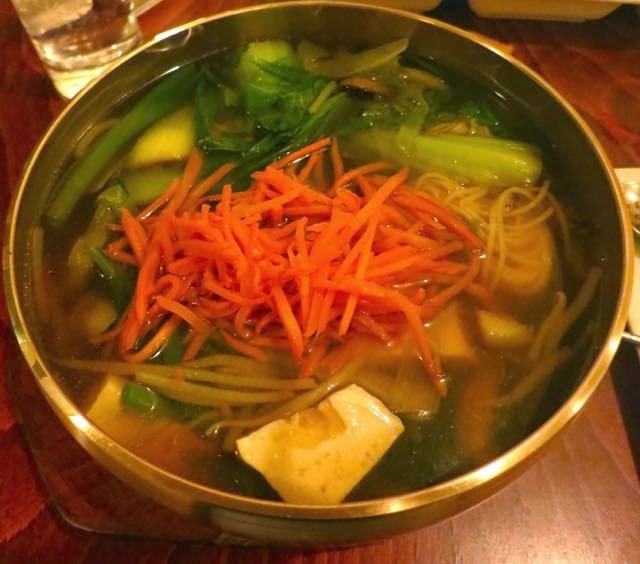 The broth was very flavorful and was loaded with scallions, bok choy, mushrooms, carrots, and tofu. 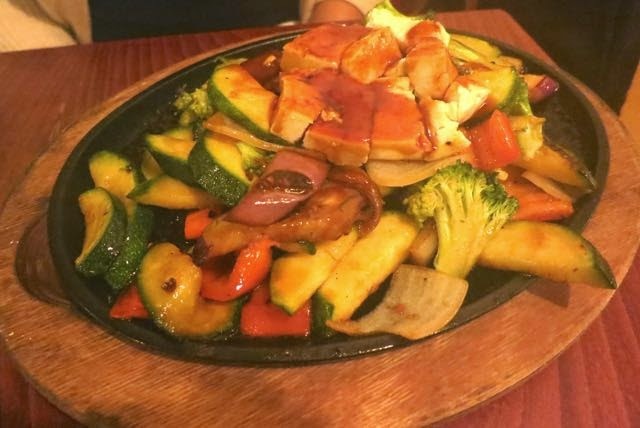 My friend ordered the Yache Gui, which was seasoned and glazed veggies and tofu. She and I were not fans. It did not taste at all like a Korean dish. As expected, it took a long time to get our check. By then, we were pretty much done with this place. One dish out of many was good and the rest were not good at all. The entrees were priced at $14-$16, which was overpriced for what it was and the service was perhaps the worst service I've had in years. Not recommended.